Network firewall is a powerful Linux system security application.It can open or limit the network status of many applications. Less memory, low power consumption and fast，Network firewall will be your best choice. 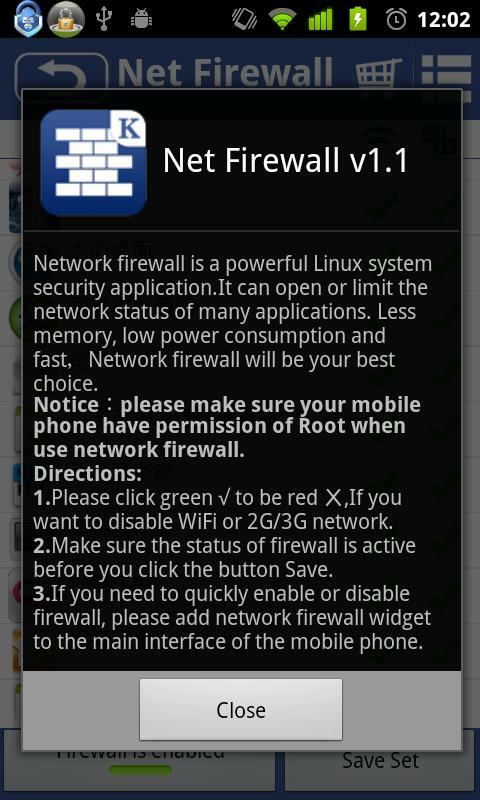 Notice：please make sure your mobile phone have permission of Root when use network firewall. Directions: 1.Please click green √ to be red Ⅹ,If you want to disable WiFi or 2G/3G network. 2.Make sure the status of firewall is active before you click the button "Save". 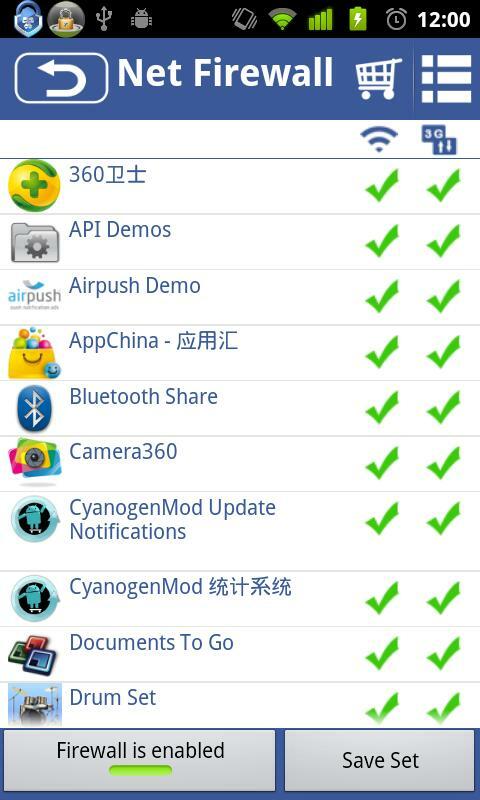 3.If you need to quickly enable or disable firewall, please add network firewall widget to the main interface of the mobile phone. This is one function of King Kong Lock®.You can get powerful system tools box by search 'King Kong Lock'.